Home > Switched on Thinking > Is this the time for electric vehicles? Is this the time for electric vehicles? Electric vehicles are certainly in the news. 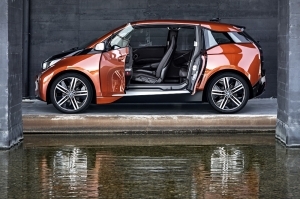 On a positive note as BMW launches their first electric car the BMW i 3 and Deutsche Bank predicts a doubling of Tesla’s stock value on the basis that “Tesla has produced a truly futuristic vehicle”. Both companies have designed pure electric cars from a blank canvas and the benefits are obvious, “BMW has finally made a real EV. It’s not another retrofit hack-job that stuffs an electric motor and battery pack into car that was never intended for electrification. It’s been designed from the ground up to serve two purposes: electrify the automaker and stay true to the Ultimate Driving Machine tagline. This is the BMW i3 and it’s the most innovative thing to come out of Munich in a decade”, Damon Lavrinc, Wired. On a negative note there has certainly been criticism on the low use of electric vehicle charging points, but this has to be the classic “chicken and egg” argument. What we do know is that prospective buyers are really concerned by electric car range and the risk of running out of juice. Building a charging infrastructure seems to be a pre requisite for an electric vehicle world and for future thinking locations. As new and better electric vehicles come on the market we will see if and how they are used.